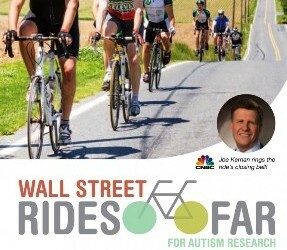 Wall Street Firms and Broker-Dealers based across the NY tri-state area are preparing to get into gear in advance of the 2nd Annual Autism Science Foundation’s Wall Street Rides FAR Cycling Event for Autism Research. On Saturday, October 8, over 150 representatives from the Wall Street community will gather to cycle in support of innovative, life-changing autism research. Per coverage courtesy of TradersMag John D’Antona, The Autism Science Foundation is a 501(c)(3) nonprofit organization that provides funding directly to scientists conducting cutting-edge autism research to discover the causes of autism and develop better treatments. The ride, which takes place at Saxon Woods County Park in White Plains, New York, gives participants a choice of four scenic routes through the beautiful fall foliage of the Lower Hudson Valley: 4 miles, 20 miles, 30 miles, and 62 miles. 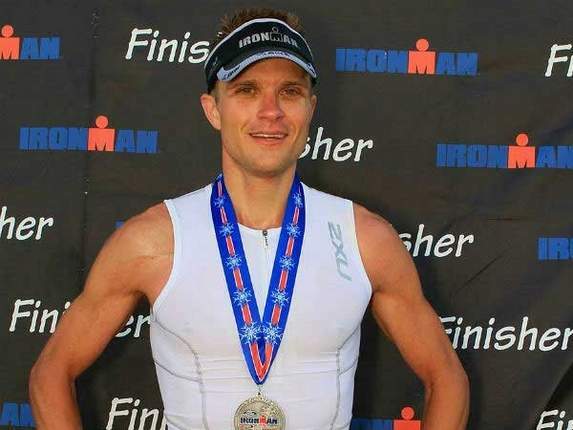 The event is being spearheaded by Bats Global Markets EVP Bryan Harkins, who, along with Alison Singer, president of the Autism Science Foundation are co-founders of Wall Street Rides FAR Cycling Event for Autism Research. This event, he added, is an extension of that inspiration. And there I still time to ride, volunteer or cheer on the participants. Harkins added that ASF is committed to the science of autism. “The foundation’s mission is to provide grants to the country’s top scientists as they dedicate their research looking for the causes of autism, but also for better treatment methods to enhance the quality of life for those on the spectrum,” Harkins said. 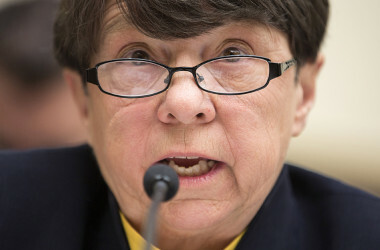 Finra Fines Remorseless BrokerDealer; CEO has no remorse for fraudulent conduct..
Is BrokerDealer Fraud on the Rise? 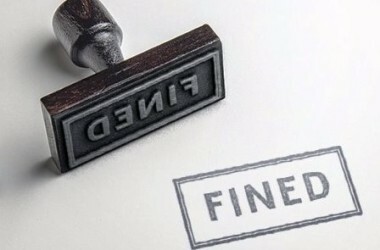 (FTF News)-A Financial Industry Regulatory Authority (FINRA) hearing panel has fined New York-based brokerdealer Avenir Financial Group $229,000 for “misconduct including the fraudulent sales of equity interests in the firm and promissory notes,” and suspended it for two years from engaging in any self-offerings. Nutanix (NTNX): On file since December 2015, Nutanix plans to raise $168 million at a $2 billion market cap in its long-awaited IPO. Nutanix is a leader in the rapidly-growing market for “hyperconverged” networking, and it will be the year’s second VC-backed tech “unicorn” after Twilio (TWLO; +327%). Few IPOs can claim over $200 million in billings in the most recent quarter with 118% growth, though its accumulated deficit of $442 million is just as rare. Recently, IPO investors have been favorable toward high-loss, high-growth stories, and Nutanix has already posted three consecutive quarters of positive cash flow from operations. MedEquities Realty Trust (MRT): The week’s largest IPO, MedEquities plans to raise $259 million at a market cap of nearly $400 million. While the REIT is concentrated both by geography (TX and CA are 86% of rent) and customers (top 5 are 97%), it boasts an experienced management team, a portfolio of long-term triple-net leases and a 6.5% annualized yield. Close peer Community Healthcare Trust (CHCT; 2015 IPO) is up 25% this year, while Global Medical REIT (GMRE) has traded up 4% from its June 2016 IPO. Fulgent Genetics (FLGT): This small but fast-growing genetic test company is set to raise $60 million at a market cap of $235 million. Differentiated with its ability to more than 18,000 gene tests, Fulgent grew sales by 82% in the 2Q, reaching almost $4 million with a 24% operating margin. The seven diagnostics IPOs since 2015 average a return of -37%, though Fulgent’s closest peers have outperformed in recent months. Tabula Rasa HealthCare (TRHC): Hoping to raise $60 million at a market cap of $251 million, Tabula Rasa helps long-term care facilities avoid adverse drug events from mismanaged prescriptions. The company grew 32% in the first half of 2016, giving it trailing annual sales of $80 million with an adjusted EBITDA margin of 13%. 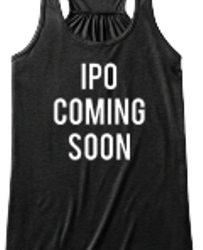 9/26/16 Obalon Therapeutics, which is developing an intragastric medical device to assist with weight loss, announced terms for its IPO on Monday. The Carlsbad, CA-based company plans to raise $75 million by offering 5 million shares at a price range of $14 to $16. Insiders intend to purchase $20 million worth of shares in the offering. At the midpoint of the proposed range, Obalon Therapeutics would command a fully diluted market value of $267 million. Obalon Therapeutics was founded in 2008 and booked $4 million in sales for the 12 months ended June 30, 2016. It plans to list on the Nasdaq under the symbol OBLN. UBS Investment Bank, Canaccord Genuity and Stifel are the joint bookrunners on the deal. It is expected to price during the week of October 3, 2016. 9/26/16 Camping World Holdings, the largest RV retailer in the US offering new and used vehicles, parts, services and financing, announced terms for its IPO on Monday. The Lincolnshire, IL-based company plans to raise $250 million by offering 11.4 million shares at a price range of $21 to $23. At the midpoint of the proposed range, Camping World Holdings would command a market value of $1.8 billion.CEO Marcus Lemonis stars in CNBC’s reality show The Profit. Camping World Holdings was founded in 1966 and booked $3.5 billion in sales for the 12 months ended June 30, 2016. It plans to list on the n/a under the symbol CWH. Goldman Sachs, J.P. Morgan, BofA Merrill Lynch and Credit Suisse are the joint bookrunners on the deal. It is expected to price during the week of October 3, 2016. 9/26/16 Advanced Disposal Services, a vertically integrated provider of solid waste collection, recycling and disposal services, announced terms for its IPO on Monday. The Ponte Vedra, FL-based company plans to raise $375 million by offering 19.3 million shares at a price range of $18 to $21. At the midpoint of the proposed range, Advanced Disposal Services would command a fully diluted market value of $1.6 billion. Advanced Disposal had previously attempted to go public in February 2016 but ultimately postponed the deal. Advanced Disposal Services was founded in 2000 and booked $1.4 billion in sales for the 12 months ended June 30, 2016. It plans to list on the NYSE under the symbol ADSW. Deutsche Bank, Credit Suisse, Barclays, UBS Investment Bank, BofA Merrill Lynch, Macquarie Capital, Morgan Stanley and Stifel are the joint bookrunners on the deal. It is expected to price during the week of October 3, 2016. 9/26/16 Everspin Technologies, a provider of magnetic-based random access memory, announced terms for its IPO on Monday. The Chandler, AZ-based company plans to raise $45 million by offering 3.8 million shares at a price range of $11 to $13. At the midpoint of the proposed range, Everspin Technologies would command a fully diluted market value of $133 million. Everspin Technologies was founded in 2008 and booked $27 million in sales for the 12 months ended June 30, 2016. It plans to list on the Nasdaq under the symbol MRAM. 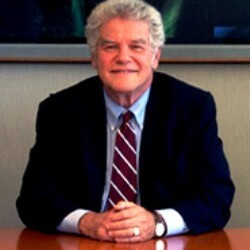 Stifel and Needham & Co. are the joint bookrunners on the deal. It is expected to price during the week of October 3, 2016. The Renaissance IPO Indices are market cap weighted baskets of newly public companies. The Renaissance IPO Index is up 2% year-to-date, while the S&P 500 is up 6%. Renaissance Capital’s IPO ETF (NYSE: IPO) tracks the index, and top ETF holdings include Alibaba (BABA), Synchrony Financial (SYF) and Citizens Financial Group (CFG). The Renaissance International IPO Index is flat year-to-date, compared to +5% for ACWX. Renaissance Capital’s International IPO ETF (NYSE: IPOS) tracks the index, and top ETF holdings include NN Group and Aena S.A. To find out if this is the best ETF for you, visit our IPO Investing page. Attribution Policy: The information contained herein is proprietary and copyrighted. The media is welcome to use our information and ideas, provided that the following sourcing is included: Renaissance Capital – manager of IPO-focused ETFs. Investment Disclosure: The information and opinions expressed herein were prepared by Renaissance Capital’s research analysts and do not constitute an offer to buy or sell any security. Renaissance Capital, the Renaissance IPO ETF (symbol: IPO), the Renaissance International IPO ETF (symbol: IPOS), or the Global IPO Fund (symbol: IPOSX), may have investments in securities of companies mentioned.